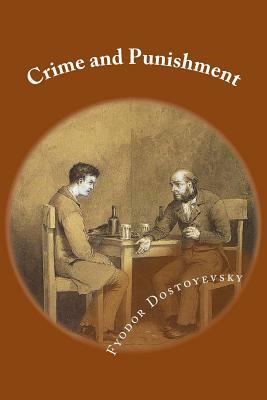 Crime and Punishment focuses on the mental anguish and moral dilemmas of Rodion Romanovich Raskolnikov, an impoverished ex-student in St. Petersburg who formulates and executes a plan to kill an unscrupulous pawnbroker for her cash. Raskolnikov argues that with the pawnbroker's money he can perform good deeds to counterbalance the crime, while ridding the world of a worthless parasite. He also commits this murder to test his own hypothesis that some people are naturally capable of such things, and even have the right to do them. Several times throughout the novel, Raskolnikov justifies his actions by connecting himself mentally with Napoleon Bonaparte, believing that murder is permissible in pursuit of a higher purpose. Fyodor Mikhailovich Dostoyevsky was a Russian novelist, short story writer, and essayist. Dostoyevsky's literary works explore human psychology in the troubled political, social and spiritual context of 19th-century Russia.